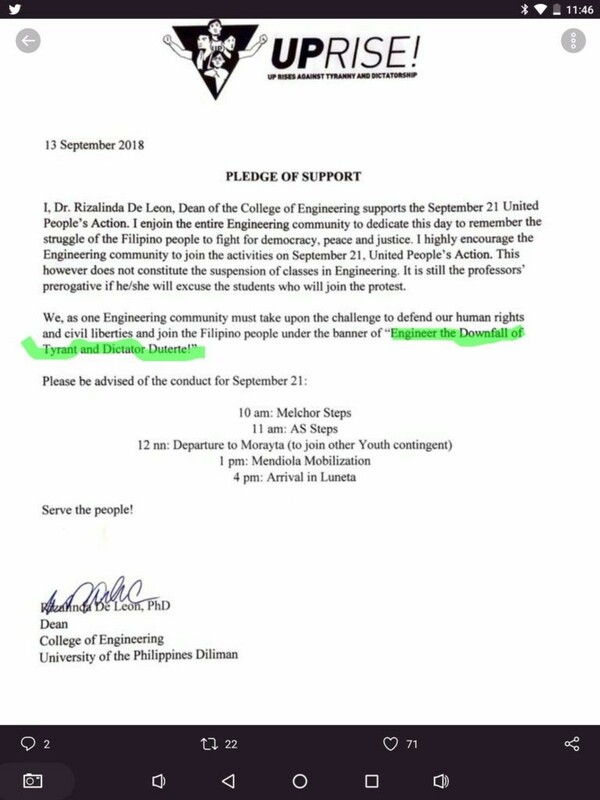 Dean of the University of the Philippines College of Engineering, Rizalinda De Leon, unjustified her participation in the “Engineer the Downfall of the Tyrant and Dictator Duterte!” event, claiming that it was only an “editing misunderstanding” with the Uprise organization. This was after a “Pledge of Support” letter was uploaded by the Uprise organization which got the attention of the netizens. 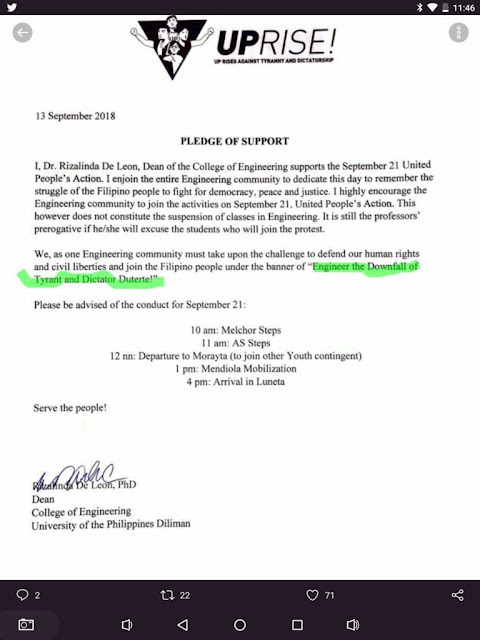 The event is said to be dedicated to “remember the struggle of the Filipino people to fight for democracy, peace and justice.” In the letter, she invited the entire Engineering community to join the protest against the Philippine President Rodrigo Duterte. The initiative was exposed online. Shortly after, the dean released a statement “clarifying” that it was only an “editing misunderstanding” with the Uprise team. The post bears her name and signature. 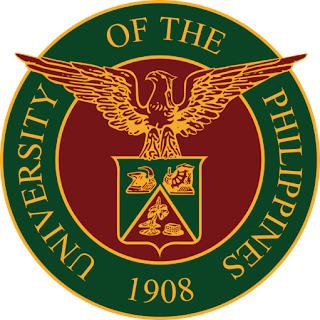 Uprise is a small organization by the University of the Philippines that “defends the human rights and civil liberties” by promoting the downfall of the Philippine President. 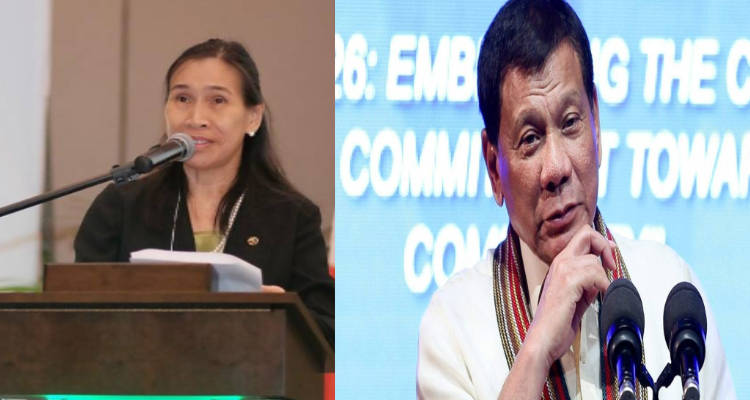 The uploader, Euler Rules, published the statement and revealed the classified propaganda by the “Iskolar ng Bayan” against the president last September 15, 2018.